April is National Welding Month. Recognized annually by the American Welding Society, the goal of National Welding Month is to put focus on the industry and inspire the next generation of welders. Agustin Acosta says his future career has been inspired by high school mentors and later through working in the oil fields of west Texas. Beginning as a welder’s helper, Agustin says he began assisting them with grinding or fitting pipes as he began to learn his trade. Easily recognizable in the welding labs with his traditional “pancake” visor, Agustin says a passion for welding enabled him to pick up the trade fast. Gas tungsten arc welding (GTAW), also known as tungsten inert gas (TIG) welding, is an arc welding process that uses a non-consumable tungsten electrode to produce the weld. Stick welding, is a manual arc welding process that uses a consumable electrode covered with a flux to lay the weld. Agustin says he began at STC in the fall of 2018 and plans to obtain his structural certificate and combination certificate by August 2019. He then plans to study for his Welding Associate of Applied Science. 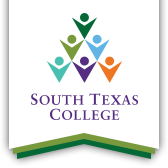 The Welding Technology Program at South Texas College prepares students for entry level positions by teaching four processes including Shielded Metal Arc Welding, Gas Metal Arc Welding, Gas Tungsten Arc Welding, and Flux Cored Arc Welding. Students gain knowledge in lay-out and fabrication as well as blueprint reading, safety and metallurgy. The La Joya Higher Education Center where Agustin attends features an outdoor welding lab that has been constructed with 42 stations for students to provide state-of-the-art workforce preparation for high-wage careers in welding. Agustin has a message for future welders.